As we fully transition into spring, with April showers on their way and flowers in bloom, we know that a great deal of you will be packing away your winter wardrobe, and replacing it with your spring/summer favourites. Add to this the fact that menus throughout the country, including our own, will be adding in a few spring selections and it’s no wonder that everyone will want to be looking to enjoy a makeover, including our very own website! Let’s face it, everyone who’s anyone enjoys keeping up with the Jones’s and it’s no different in the digital world, which is why we thought it was about time we created a brand new website. Here at Marygreen Manor, we want to ensure that every aspect of your experience here reflects the time we’re in and that includes your digital experience. Now not only do we possess one of the most popular wedding venues in Essex, along with one of the most popular fine dining restaurants in Essex, but we also have a fabulous website to match too. With brand new pictures, exciting new content and of course, our blog coming along for the ride, we guarantee you’ll love it. As with every thing we do, you our client are always considered first and foremost, so not only have we ensured our website looks great, but we’ve ensured it’s easy and most-importantly, enjoyable to use. Whether you’re looking to browse our accommodation or our latest menu, you’ll find everything easy to find and displayed for your benefit. So what are you waiting for? Head over to marygreenmanor.co.uk today and check out our updated website for yourself. Better still; tell us exactly what you think of it in the comments below! We can’t wait to hear what you think! 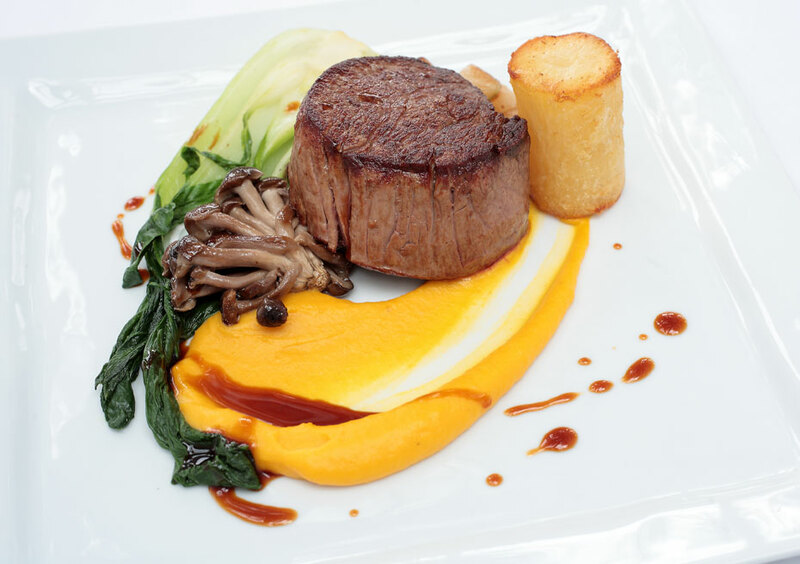 You Need To Try Marygreen Manor Fine Dining! 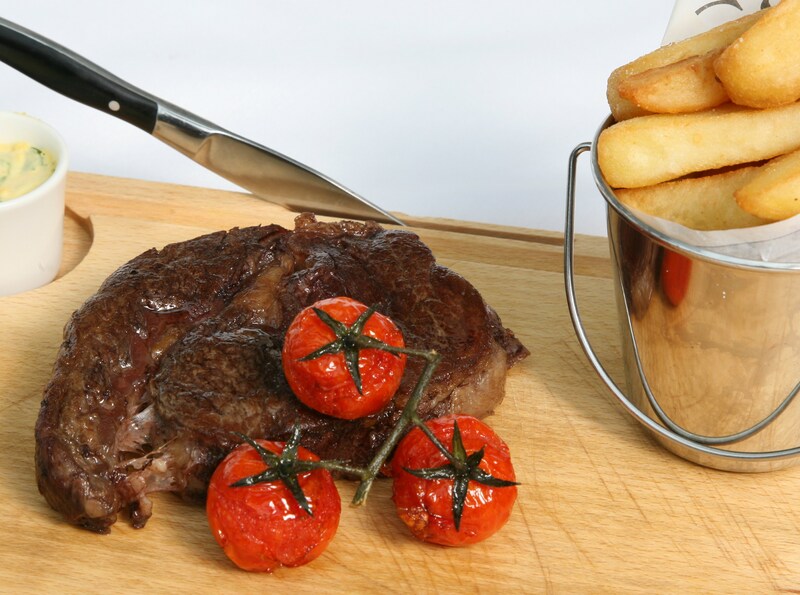 High quality food and drink – here at Marygreen Manor, we cook from only the very best ingredients. 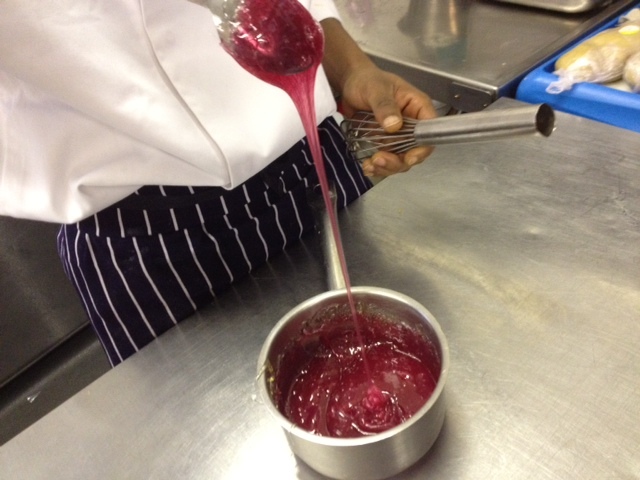 We always, when able to, source local ingredients too. This means that our menu changes seasonally and while it may not feature as many dishes as say, a chain restaurant in the high street, you will instead notice some truly unique items that you just wouldn’t find anywhere else. On top of this, you’ll also find yourself privy to an award-winning wine list with each wine picked specifically to compliment each individual dish. Unbeatable service – when it comes to service within a fine dining restaurant, there’s quite simply nothing else like it. Not only will you find staff much more attentive to your every need, but you’ll also find a few added extras such as crumbing tables between courses, replacing napkins if you leaves the table, escorting you to the table and holding chairs for women as well as serving food directly at the table. Such added details are quite simply exquisite and really separate a fine dining restaurant from any other. An elegant atmosphere – from grand décor to modern, contemporary hand made furniture; a fine dining restaurant is guaranteed to blow you away and Marygreen Manor is no exception to the rule. Considering the history of our manor house, you’ll find some amazing period features offering a real hint of our Tudor history too. As you can see, fine dining is much more than simply “eating out”. It’s an experience that you’ll want to enjoy again and again. Try Our Double AA Rosette Awarded Tudor Restaurant Today! The Marygreen Manor Hotel and Restaurant is known throughout Essex for it’s quality accommodation and fantastic food. To be specific, our Tudor restaurant is known for it’s exquisite cuisine thanks to our fantastic chefs. It’s of such quality in fact, that we’ve been awarded the title of Winner by the Best Hotel Restaurant in Essex Awards as well as 2 AA Rosettes but what exactly does this mean? Well, it’s worth knowing that AA Rosettes aren’t given out to just anyone. They’re only awarded to hotels producing the very finest cuisine. The whole aim of the Rosette scheme is so that the AA Members, along with guide readers as well as the general public have some reliable information when it comes to finding somewhere to eat. The Rosettes are awarded via a 5-tier scale and have been given out since 1955 so as you can imagine, it’s quite a well-established awards scheme. What’s more, the AA Rosettes and the scheme as a whole are internationally recognised which is no doubt why we happen to play host to a number of guests each and every year from all over the world! Now we realise that we could be awarded every accolade there was but if you hadn’t tried it for yourself, quite simply, how would you know? Well, perhaps our many outstanding and excellent reviews received over on TripAdvisor may help. From our flawless services to our awarded menus, our customers have been only too happy to share their happy experiences and we’d like you to do the same. So what are you waiting for? To book yourself a table (and accommodation if you really want to go the whole hog), all you need to do is call 01277 225 252 and we’ll be happy to help you. We not only look forward to your company but look forward to you experiencing the very reason we received our latest AA Rosette awards. Marygreen Manor fine dining offers more than great taste! If you were to ask someone about the benefits of fine dining, then the vast majority would probably tell you about the health benefits. It’s widely known that fine dining is actually a rather healthy way to eat. Not only do you eat slower between portions but the portions themselves are smaller too which means your body gets a chance to feel full before you’ve managed to eat far too much. On top of that, a fine dining meal will also tend to contain a wider variety of food groups. Paired with wine, you can relax, unwind with friends and enjoy the slow release of dopamine as you enjoy a relatively healthy night out. What could be better? Well perhaps the fact that fine dining offers a lot more than a guilt free food session. Customer service – due to the high level of food during a fine dining experience, the customer service is often above and beyond what you would usually find in a normal restaurant. This is something we feel strongly about here at the Marygreen Manor. We want you to not only enjoy the food you’re served but the way it’s served too. From the moment you cross the threshold, we want you to feel so much more than the average Joe. We want you to feel phenomenal from start to finish. Top shelf wines, beers and spirits – as anyone would agree, a fine dining experience simply wouldn’t be “fine” with average alcohol. Just as the food is on another level, so should the alcohol be. Thankfully here at the Marygreen Manor, not only do we offer quality beers, spirits and soft drinks, but we also happen to have an award winning wine list to accompany our fabulous food. You’ll stay abreast of trends – this isn’t something people necessarily think of but surprisingly, something that pleases many without them realising. Enjoying fine dining means that not only do you get to enjoy fabulous food, prepared and served at the very highest of levels but you also benefit from staying abreast of the very latest trends within the food industry. Our head chef not only freshens up our menu seasonally but also looks for the most current food trends to incorporate within the menus too. Not only that but they’ll also recognise exactly when a so-called food trend is suddenly turning into a food fad too, case in point mini-burgers circa 2009. Aside from benefits such as this, when you enjoy fine dining you’ll also get to enjoy a truly wonderful experience too. Here at the Marygreen Manor Hotel and Restaurant, we know just the sheer setting within our manor house is stunning enough. Add to this a wonderful ambience, beautiful food and the highest level of service and there’s simply nothing better to enjoy. If you’d like to experience a night like this in our exquisite Tudor restaurant, then we advise you call to make a reservation in plenty of time. Reservations not only guarantee you a table at one of Essex’s most popular restaurant and hotels but it also allows us to space apart “fine diners” ensuring our kitchen staff can focus intently on just yourselves. To inquire more about our fine dining experience or other services and events we offer here at the Marygreen Manor, simply contact us today and we’ll be happy to help you. 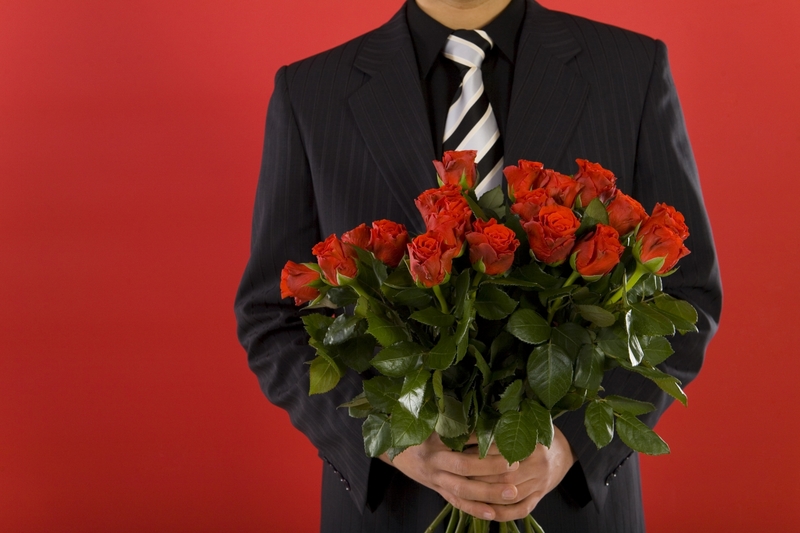 With exactly one month to go, it’s time to start getting your Valentines Day plans in order and as always we’ve got the perfect event for all those wanting to enjoy a romantic evening with the ones they hold dear. Now, as everyone knows only too well these days, it’s not always possible with work and family commitments, to guarantee yourself the time to whip up the perfectly prepared romantic meal at home…but there’s another option. Here at the Marygreen Manor Hotel and Restaurant we’re holding a Valentines Weekend, which means Sunday 14th February you’ll have the opportunity to enjoy a luxury evening in the beautiful surroundings of our manor house. What could possibly be more romantic? While the rest of those around you will be enjoying the likes of high street restaurants and perhaps the odd country pub, you’ll be enjoying an environment like no other. One with an award winning wine list, a restaurant that serves some of the county’s finest food and accommodation so luxury, you’ll find yourself tempted to stay for as long as you can afford to keep skipping work entirely. Not only do you get to enjoy the wonderful décor and ambience of such a place but you’ll also be treated to live entertainment and a delicious 4 course meal too. With special treats such as lobster, caviar, duck pastrami and even champagne sorbet on the menu, the evening is guaranteed to be an exquisite one. Finish the evening off perfectly with tea and coffee, along with a selection of petit fours gazing into your lover’s eyes while sat beside a roaring open fire…it truly is an exceptional evening and at just £75 per person, it’s exceptional value too. While a month may sound like plenty of time to get booking, we’re here to tell you that’s not the case. Here at the Marygreen Manor, we get booked up fast so to avoid disappointment call 01277 225252 or email info@marygreenmanor.co.uk. 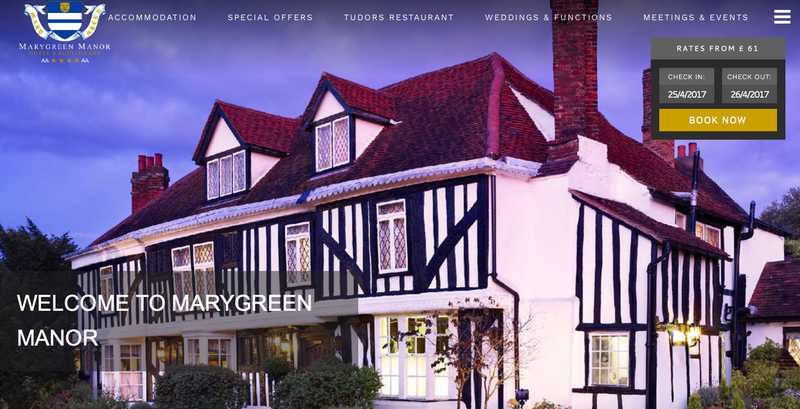 Marygreen Manor is a hotel set in a beautiful original Tudor building in the countryside of Brentwood, Essex, combining excellent service with beautiful tradition. To visit our main website to make a reservation for our Hotel or Tudors Restaurant click here. Why Do We Love Afternoon Tea? Get Organised And Take Advantage Of Our Advanced Purchase Rate! Cheese and Biscuits Excellent food blog!